A large and unmistakable moth. The dark glossy green forewings (which often look black) are spotted with cream and white blotches. 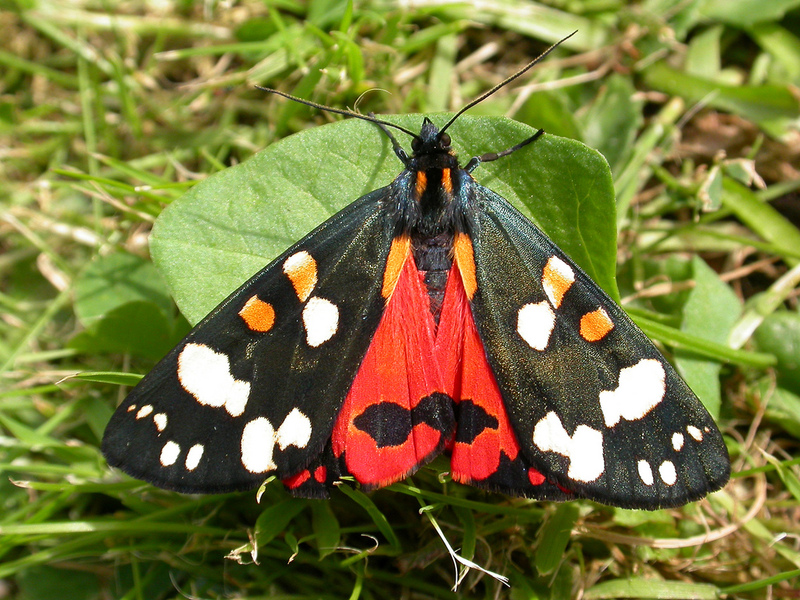 The underwings are red, with dark markings. One generation, June to July. Common Comfrey, Hemp Agrimony. Larger larvae disperse to Nettle, Brambles, Sallows, Honeysuckle, and Meadowsweet. Riverbanks, marshes, damp woods, damp meadows, can be seen in gardens.